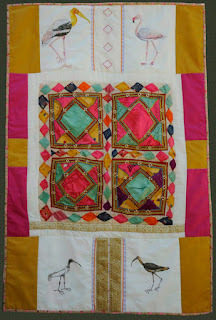 New Wall Hanging Quilt front and back. 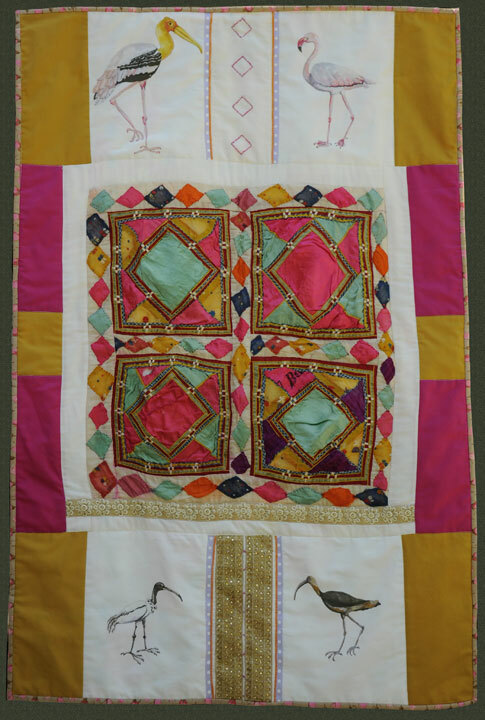 Centered antique hand sewn satin/cotton quilt from India with four of my hand drawn Indian birds (seen in India in January of this year) printed on cotton (painted stork, flamingo, two ibis). Cotton, satin, glitter trim, couched rat tail and some hand embroidery. 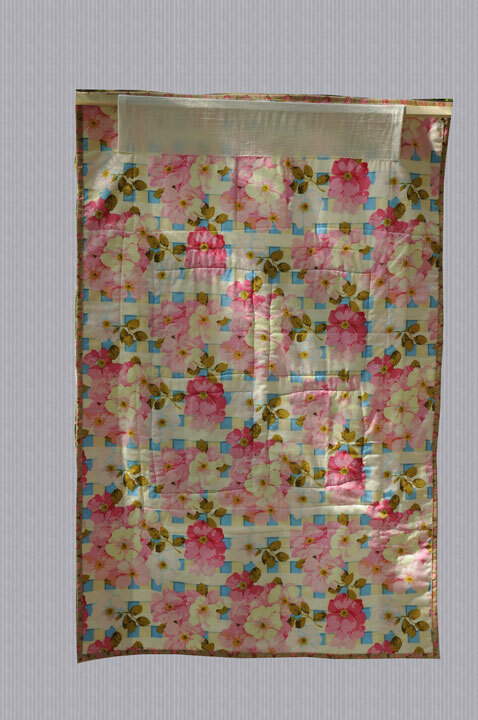 Rose pattern cotton back and rosebud cotton binding (both designed by Martha Negley for Rowan. Westminster Fibers). 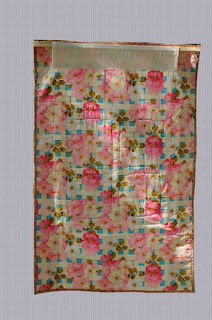 Measures 28 1/2" wide x 43 3/4" high. Jean L. Autrey's "Vase With Flowers"